Keigo is awesome. Very friendly, knowledgeable, helpful. Always looking to improve the trip. We saw many places in a short time. Good mix of indoor/outdoor as well as old and new sites. 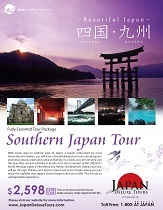 Southern Japan Tour will give you a glimpse of Japan in its elements away from the bright lights of the city. Traveling in Kyushu and Shikoku is an adventure on its own. 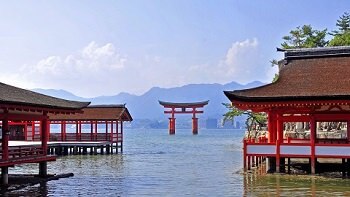 Starting from Osaka, we will head south to Hiroshima, Miyajima, Arita Ceramic Village, Nagasaki, Beppu, Matsuyama, and Naruto.